Kodi builds are a great way to switch things up if you’ve become tired of the stock Kodi app. There are some wild options out there, but it can be difficult to track down the top options at times. That’s because repositories can die off without warning, but have no fear – we have you covered. The easiest way to think of Kodi builds is like a present or package. These are all-in-one solutions that change the entire look of the media player. That means completely new Kodi skins, new menus, and a whole slew of Kodi add ons. These builds are also set up and ready to roar right away in most cases. That means you won’t need to spend half an hour adjusting settings or digging around for the add-on you want. With the best Kodi build, there is a good chance it’s already there. Have you put your copy of the Kodi app through the ringer? If so, you may want to go with a fresh install or reset Kodi to clear the system. Some of our builds give you that option when it’s time to install, but it’s never a bad idea to clear out the cobwebs beforehand. If you do reset, remember to turn “Unknown Sources” on within the Kodi app. We also recommend getting yourself a good VPN if you don’t already have one. Kodi alone is fine, but you can get yourself into some sticky situations when dabbling with Kodi add-ons. Our choices are in no particular order. It will be a matter of personal preference with some builds as a slick design may seal the deal. If you dig the build but not the look, you can always opt to install Kodi skins to switch things up. This one is rock solid and has been a fan favorite for quite some time. It works on a wide variety of devices like the Fire Stick TV and is simple to install if you know your way around Kodi’s UI and the File Manager. Titanium is a lock for the best Kodi build and is chocked full of goodies including options for Live TV. Want BoB Unleashed? You can get it through the Titanium Kodi Build along with Placenta, Neptune Rising, UK Turks Playlist and SportsDevil just to name a few. The installation wizard is streamlined, and it’s a Kodi build you can count on to stick around. We recommend getting this one through http://repo.supremebuilds.com/. 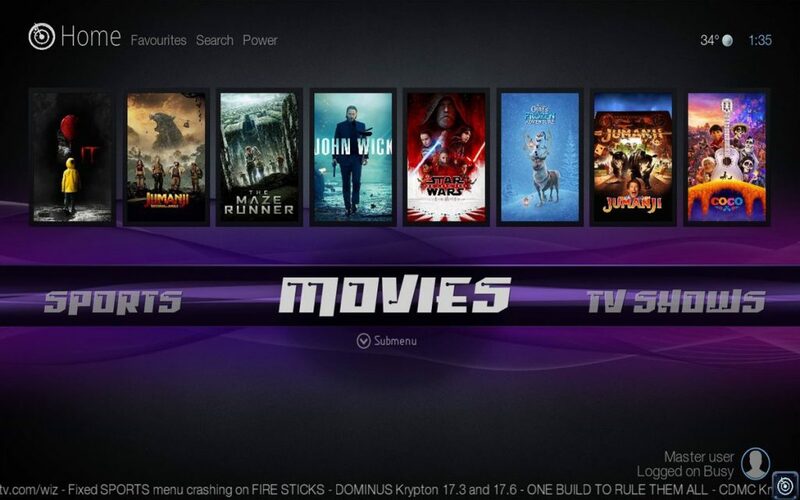 If you are unsure of how to install the Titanium Kodi build, check out the video below. It also addresses Kodi buffering issues within the app as well. This one is another popular choice and an option for the best build. It is arguably the slickest one on our list as well. One major advantage of this Kodi add on is the fact it’s frequently updated. That means you’ll get new features while others builds flounder and bugs are going to get squashed with haste. While we think the No Limits Magic build is a stunner, the add ons are where the action lies. In this case, you will get access to things like Planet MMA, Death Streams, Bennu, and many, many others. The layout is easy to navigate with sections for Music, Movies, Live TV, TV shows, and Sports as well. We love the fact this build comes with the Aeon Nox 5 Silvo Skin, and those frequent updates are the icing on the cake. On the downside, this one is a large build and may not run well on dated or underpowered devices. You can pick up this build at http://nolimitsbuilds.com/kodi/ using the steps detailed in the video above. As the name implies, Fire TV Guru is a build built with Amazon’s streaming stick in mind. That said, it will run on any Kodi-based setup including Android TV boxes from the Far East. While the advantage of Fire TV Guru is certainly the streaming content, they specialize in one particular area. This one is loaded with some great TV channels for kids including Bobbys Cartoons, Disney Junior, Kiddie Cartoons, Toon Mania and Kids Movies. That’s just a small sampling, so believe us when we say there are many more options available. Adults won’t be disappointed either. The Fire TV Guru build allows you to watch sports, movies and TV shows just like the rest of our picks. Here are a few standouts you will find within this build. 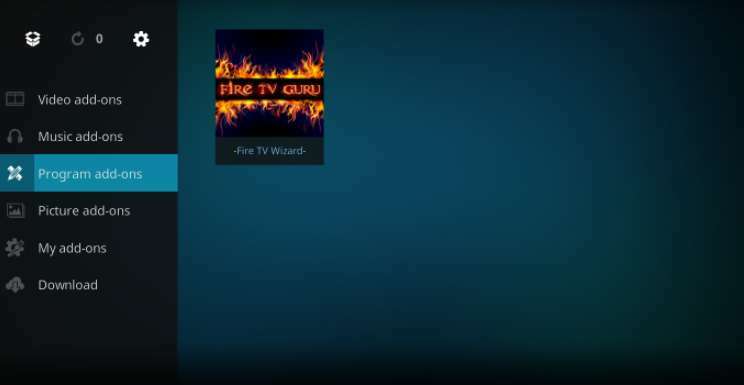 To install the Fire TV Guru build for Kodi Krypton, follow the steps in our easy Fire TV guide which will have you streaming in no time. 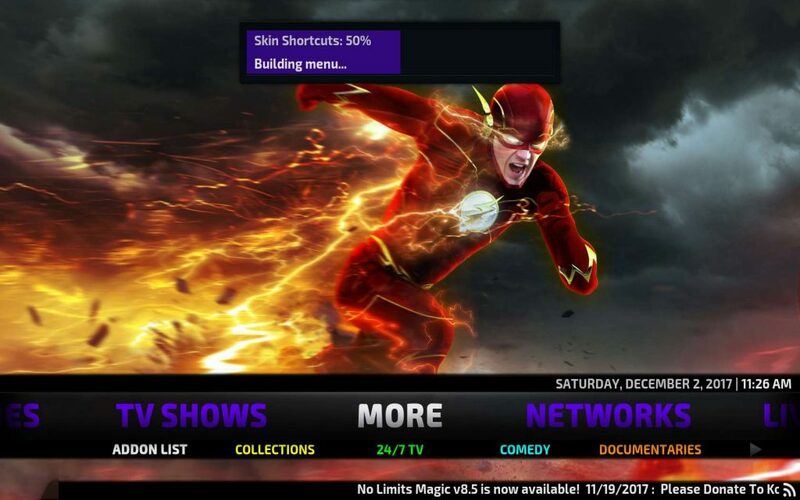 This little mod packs a punch and has more builds than others including some of the top Kodi add ons currently available. Climaxx, Fiesta, HardKnox Krypton, AM Smooth, Desire, SpinzFlix, Impact, and Kidflix are a few options, but it’s really on the tip of the iceberg. The Misfits Mods Lite build is one of the easier ones to install and can be found directly on the misfitmods website. Our video shows you how to install this Kodi 17 build onto a Firestick, but you can follow one of our other guides if you plan to put this build on a different type of device. Looking for a build that has everything from Kidz Zone to UK Turks Playlist? Well, you’ll find it with CellarDoor TV. Finding content within the build is a breeze, and we like the fact you can sort things by format. That includes 4K movies if you happen to have a 4K HDR set and bandwidth isn’t an issue. Here are a few of our favorites from CellarDoorTV. While those are some of our favorites for the best Kodi build, there are plenty of other amazing options if you do a little digging. A few others you should consider include Kryptikz, Duggz, Spark, Outkast, Spinz TV build, SchismTV, and the aptly named Boom Shakalaka build. Depending on your taste in style and streaming preferences, one of these could be the best Kodi build for you. All of these Kodi builds are great options, and it pays to check out more than one. Your favorite could be “discontinued” without much warning, so having a backup plan is a wise way to go. If you haven’t already procured yourself a VPN, take our advice and look into one before proceeding with any of the Kodi 17 builds we recommended. Not sure which build to go with. But I run Covenant and the movies either freeze or cut out in middle. Can you please advise??? Any help would be greatly appreciated. Thank you..
Titanium has been rock solid for me, but they are all hit or miss at times depending on what you’re doing. firetvguru.what the password,all move chanel have password lock. I have the 3rd generation Fire TV with Kodi 17.6 Krypton. I have installed and deleted so many builds, trying to find what works best. I’ve been installing/uninstalling builds for 3 weeks now because I cannot find one worth keeping! Streaming issues, buffering, freezing, stopping, ect. And I’ve fined tuned each build to correct buffering and freezing issues but they still give me more problems than im ok with. I’ve had Cosmic Saints, No Limits Magic, Titanium, Cellar Door, Nova, Durex and at least 3 or 4 more. I just installed Fire TV Guru a week ago and have has ZERO problems ever since! This is the longest i have had any build on my fire tv box since I got it. Its not a very exciting build in terms of graphics but the streaming is almost perfect. No buffering or lagging after the first 1 or 2 minutes of a movie. If you have a fire stick or the fire tv box like me, install the Fire TV Guru build. Save yourself tons of time and energy because this build is perfect for the small amazon fire devices! !